The Tiger 800 has always been a good performer and now, expanded to a six-bike family, with this high-spec, off-road XCA topping the range, there’s a Tiger 800 for all tastes and budgets. Interested in buying a Triumph Tiger? First launched in 2010 in two guises, street-wheeled XR and off-road, wire-wheeled (with a 21-inch front hoop) XC forms, Triumph’s adventure style triple has proved such a hit for its combination of versatility and value that it’s now grown into a six-strong family of bikes. This XCA version is the top-spec, range-topper. But though handsome, versatile and well equipped is still very much the 800 Tiger it always was. There’s nothing wrong in that, but compared to other £12K adventure bikes, it’s a little petite and anonymous. Being an 800, which in turn was developed from the Street Triple 675 roadster, the Tiger’s a little like a middleweight roadster that’s been dressed up in adventure bike clothes. For ease of use that’s fine – it’s less tall than some rivals yet still roomy; has a height adjustable saddle and the upright riding position is natural, comfortable and puts you in complete control. 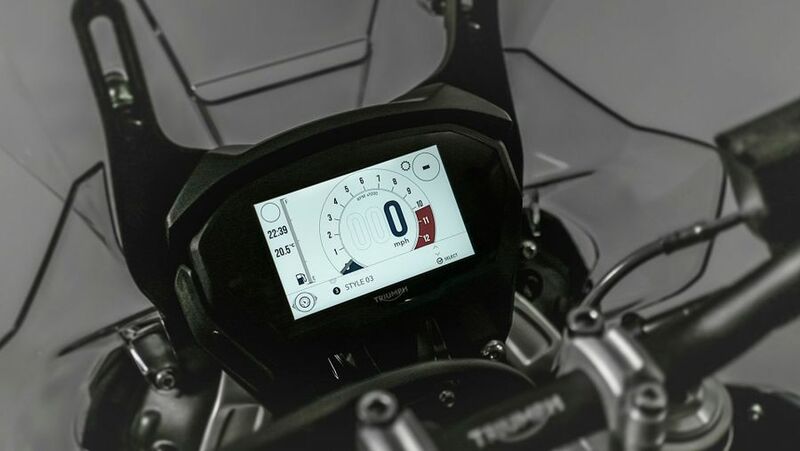 On top of that the adjustable screen is effective and, in this spec, there are heated grips and seat. As a comfortable, all-round bike it doesn’t get much better. The Tiger 800 has always been a great all-rounder thanks to the blend of its real world ergonomics and comfort, flexible and fun three cylinder engine and typically great handling Triumph chassis and, in this top spec XCA form, it’s arguably the best of the bunch with added off-road ability and long range comfort and accessories as well. In short, it’ll do it all: commute, tour two-up, thrash down country lanes and more – it’s a true Swiss Army knife among motorcycles. Since being first launched in 2010, the 800cc, long stroke version of Triumph’s smaller triple (the Tiger 800 engine is based on that of the brilliant but revvier Street Triple 675) has widely been considered as Hinckley’s best motor, due to its brilliant combination of flexible drive and a charismatic, curdly exhaust note. In this latest form, with six switchable riding modes and slight tweaks to get it through Euro4, it’s better than ever. That peak of 95bhp may pale next to 160bhp Multistradas and KTMs, but in the real world is usually more than enough. Oddly, by comparison, its brakes are a touch lacking: the dual front calipers are just two-piston compared to the radial four-piston offerings of some rivals and need a decent fistful. 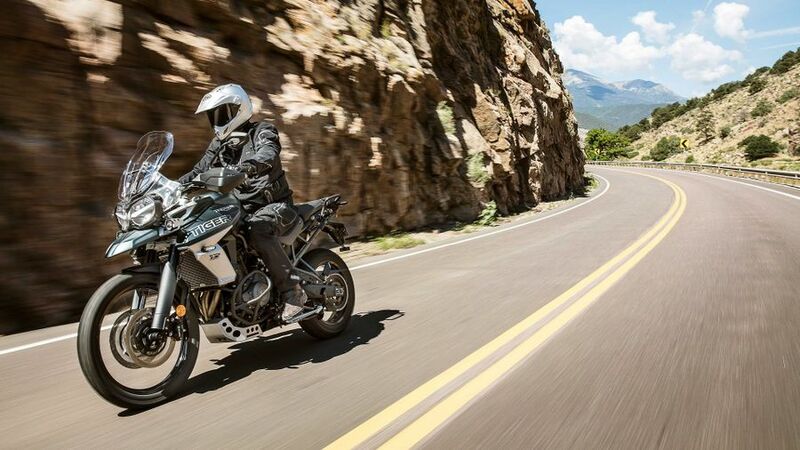 Modern Triumphs, whatever their style, are renowned for their fine road handling and the Tiger 800, even in 21-inch front wheel XCA trim, is no different. Its ride is smooth and comfortable without being exactly plush; the steering is intuitive and precise and overall it behaves far better than its image might suggest. Fancy a Sunday afternoon scratch down some curvy B-roads? The XCA is more than up to it. Best of all, though, being the ‘dirt’ variant, the XCA can then more than happily take you off down some farm tracks for a bout of gentle off-roading, too! 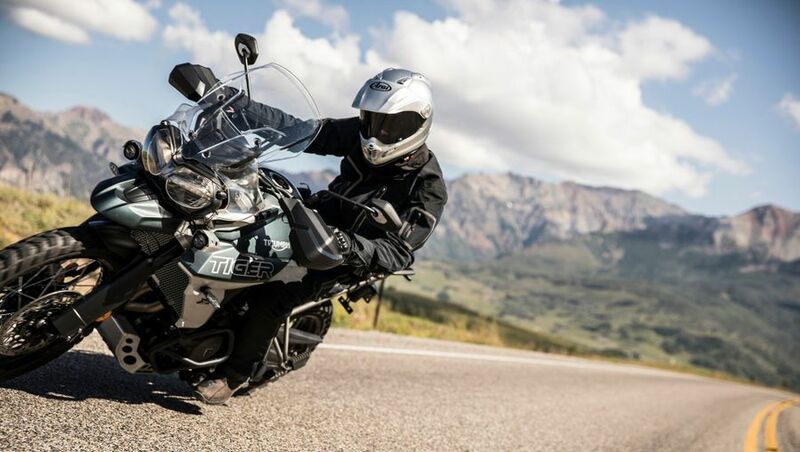 The Tiger 800 is a middle-range bike with middling 95bhp performance, proportions and so on so its running costs are, as to be expected, fairly middling, too. 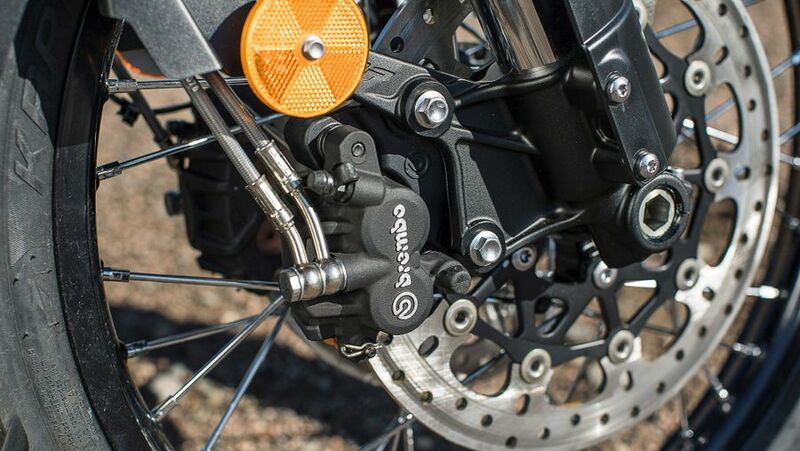 Expect fuel consumption in the mid-50s, depending on use, its appetite for tyres, chains, brake pads and more is fairly average as well (although brake pad wear can rise if you use them hard) and, overall, there’s little to be concerned about. All-in-all, considering the Tiger 800’s practicality and value, it’s no wonder you see so many of them being used year-round (although if you want one as a commuter you’d probably be better off with one of the lower spec versions). Triumph’s triples both big and small, though subject to some recalls over the years, have generally proved themselves to be robust and reliable – in fact the very first examples had a well-deserved reputation for being ‘over-engineered’. 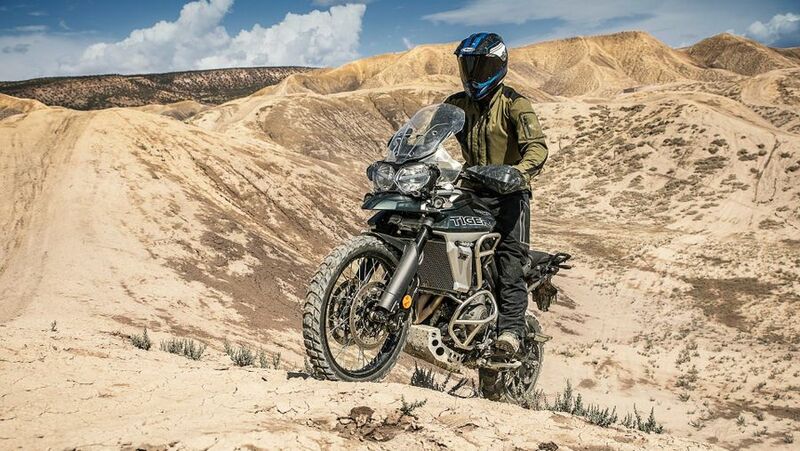 What’s more, the Tiger 800 version has now been around so long and has been refined so much since the original’s launch that we have no significant worries. Our only question mark is over its latest, ultra-sophisticated electronics. 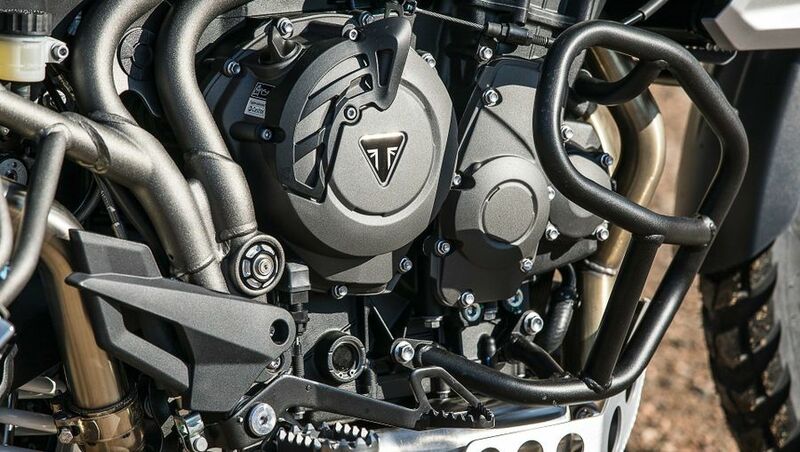 The Tiger 800 XCA’s warranty and service schedule is fairly typical for mainstream modern motorcycles. Its warranty is the standard, manufacturer-back, two-years/unlimited mileage parts and labour types while service intervals are quite usual, too. The first oil change service comes at 500miles, with minor services thereafter at every 600miles. Major services, where the valve train is adjusted, come every 12,000miles.